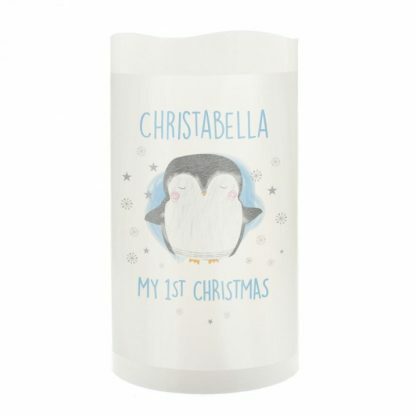 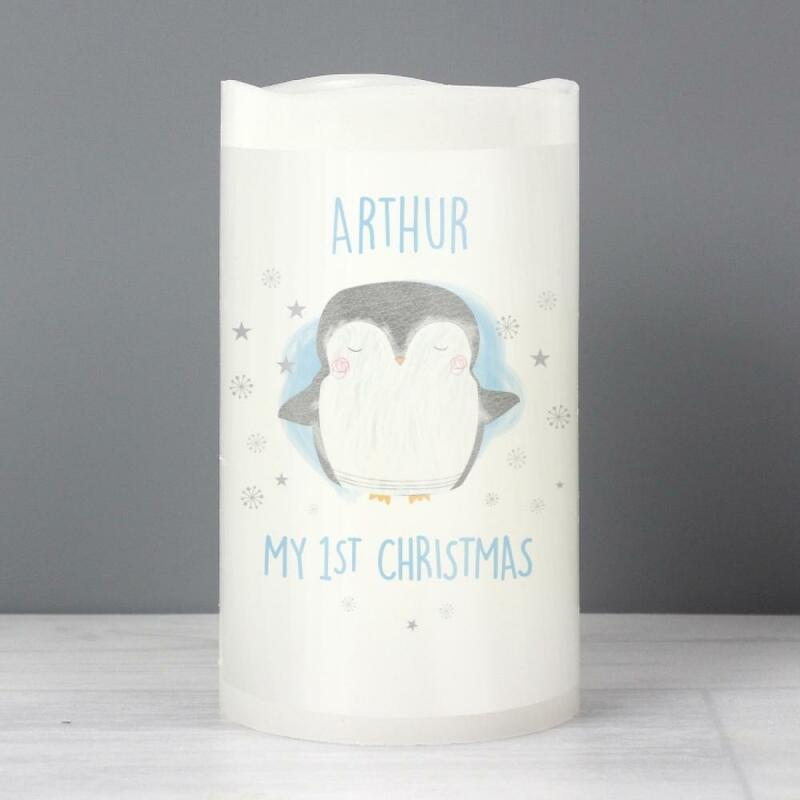 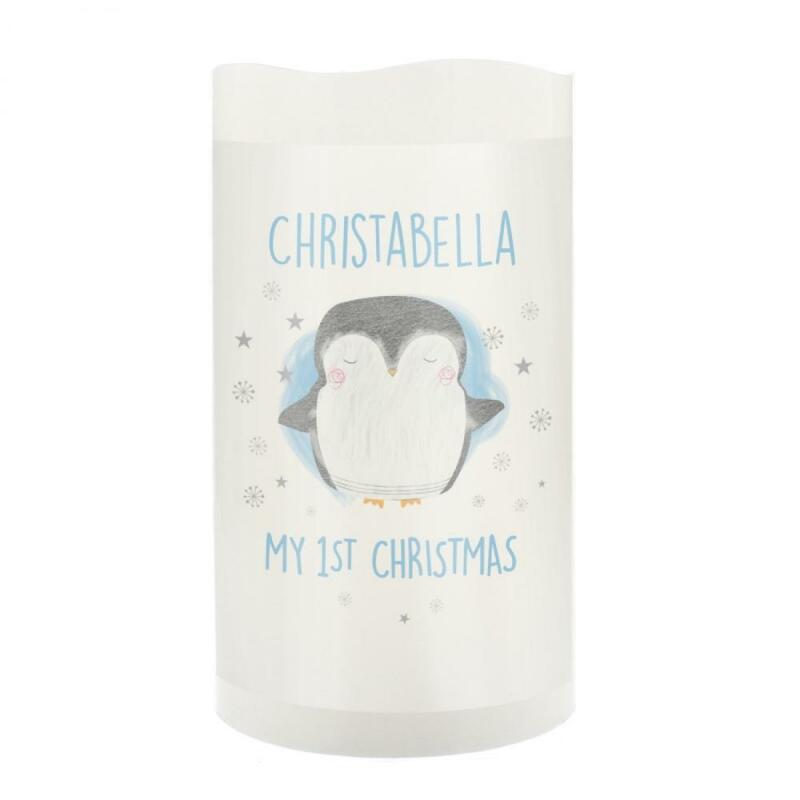 Our adorable Personalised Penguin 1st Christmas LED Candle is a precious way to remember your child's first Christmas. 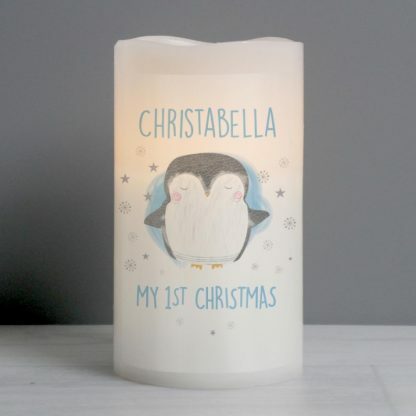 The words 'My 1st Christmas' are fixed text and part of the design. You can personalise the LED Candle with a name.